This opener lacks any of the sizzling slow burn that made previous series so memorable. Like many an ambitious show before it – Gavin & Stacey, The Great British Bake Off, The Real Marigold Hotel to name a few – BBC Two’s award-winning cop drama Line of Duty has made the jump to BBC One. The flagship channel has its sister broadcaster to thank for nurturing an at-first unsung show into an award-winning masterpiece. Line of Duty‘s first outing back in 2012 barely received any publicity, but critics were soon raving about its steely and brutal demeanour, including breathtakingly intense interview scenes and aplomb moments for the cast to act their socks off. In making the move, writer Jed Mercurio needed to change nothing about Line of Duty – which makes the tonally fraught opener all the more frustrating for fans. Well, when I say nothing needs changing – Series 4 does mark a new chapter in Line of Duty, regardless of the channel it calls home. Mercurio has stated that the interlinked corruption story of the first three series has been put to bed with the death of dodgy D.I. Dot Cottan (Craig Parkinson), an arc which kept viewers enraptured by its many twists and turns until that nail-biting 007-style chase at the close of Series 3. However, the opener of Series 4 seems somewhat vacant in comparison, especially when it comes to the team that we know and love. 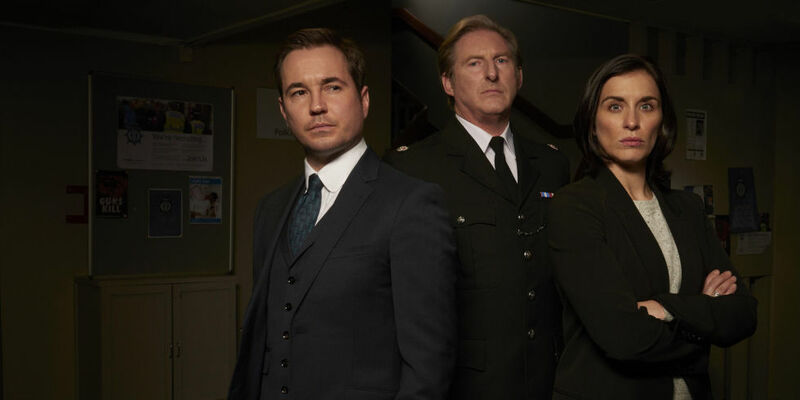 Each new series of Line of Duty tackles a different corrupt cop’s story as AC-12, a specialist team, investigate their work; quite literally ‘Police vs. Police’. It makes for thrilling watching, as equally equipped detectives go head to head, leaving you never quite sure who the good guys or the bad guys are. Usually, they’re a bit of both; these are multi-layered, complex characters which back up their questionable actions with some kind of skewed moral. Both Lennie James and Keeley Hawes have earned critical acclaim in the roles of investigateé in previous series, playing ultimately endearing but equally terrifying detectives who’ve done bad things. This series, we’re introduced to not one, but two troubled police officers, played by Westworld‘s Thandie Newton and W1A‘s Jason Watkins. Both big names are intriguing in their roles as DCI Roz Huntley and FC Tim Ifield respectively. Newton in particular epitomises the sharp yet troubled lead detective as she begins to question her own decisions and actions. Watkins is more troubled as Ifield, though admittedly this is more down to writing; his character begins intrinsic to his morals, but then takes a shocking 360 for the last fifteen minutes of the episode. It’s in the closing scenes of the episode cracks begin to really emerge; though the initial clash between the two officers feels well-acted and genuinely tense, its shocking conclusion and the rash decision made in the aftermath feels completely absurd and almost soap-operatic. The cliffhanger makes you laugh with its madness after gasping at its lavish twist. AC-12 take more of a backseat in the episode as we’re introduced to Newton and Watkins, but when we do return to the team around fifteen minutes in, the atmosphere feels somewhat flat without dodgy Dot Cottan around. Vicky McClure feels bland, especially when compared to her spine-tingling performance in The Replacement earlier this month, while Martin Compston is on the verge of being dislikable as Steve Arnott, a detective without any passion for his job. Or anything, come to that. The fact may be that it is the job of the series premiere to set up the new story arc, but Mercurio doesn’t seem to know what to do with his central characters anymore. Returning to the absurdist nature of the cliffhanger, I’m not saying that Line of Duty has ever been stooped in realism. Remember when poor old Jessica Raine was pushed from a high hospital window to her death in Series 2? Or when Daniel Mays’ Sergeant Waldron was unexpectedly shot dead in the first episode of Series 3, despite apparently being our lead character? I could forgive the chaotic drama of both the first and last fifteen minutes (and maybe even that cliffhanger) if the middle half-an-hour wasn’t so drawn out and slow-paced, consisting in large of Kate (McClure) sniping with both Steve and DCI Huntley, and Tim Ifield sneaking in and out of the forensics room. Whether it’s the BBC One effect or not, Line of Duty seems to have lost a lot of finesse moving into Series 4. It may have turned the action and the jaw dropping twists up to a thousand, but it lacks any of the sizzling slow burn that made previous series’ so memorable in the first place. Hopefully, moving away from this opener, Line of Duty can pull itself together and form a cohesive plot for the remainder of the series. Line of Duty continues next Sunday at 9pm on BBC One. Catch the first episode on BBC iPlayer.